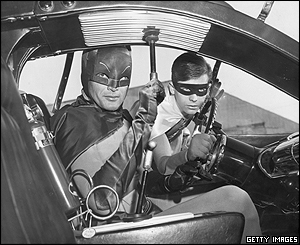 Comic-book hero Batman and his sidekick Robin were popularised in the 1960s television series Batman. 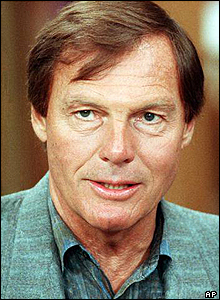 The Caped Crusader was played by Adam West in the television series. He was joined in his crime-fighting exploits by Boy Wonder Burt Ward. 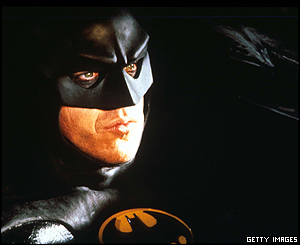 Two decades later director Tim Burton brought the dark knight back to cinemas in the 1989 hit Batman, and again in Batman Returns in 1992. 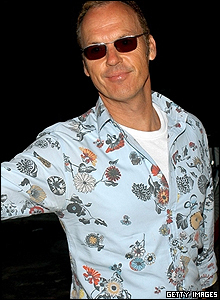 This time it was actor Michael Keaton who prowled the shadowy streets of Gotham Town fighting foes like The Joker, Catwoman and The Penguin. 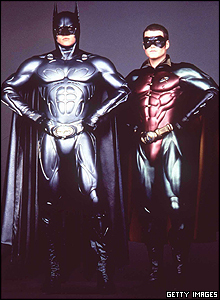 When Batman returned to the big screen in the 1995 film Batman Forever, he was rejoined by his crime-fighting sidekick Robin. 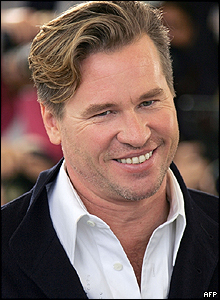 Val Kilmer was the Caped Crusader while Chris O'Donnell played Robin. 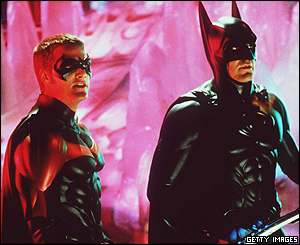 The dynamic duo were back two years later in the aptly named Batman and Robin. 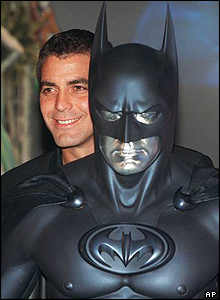 But while Chris O'Donnell reprised his role as Robin, it was the turn of former-ER heart-throb George Clooney to don the mask and cape. 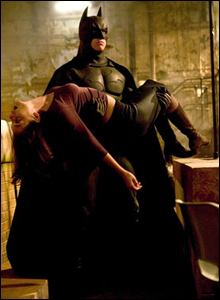 Director Christopher Nolan says he has taken Batman back to his dark roots in the latest film, Batman Begins. 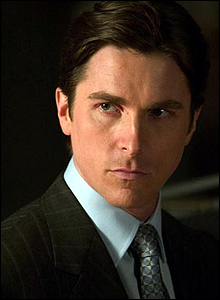 Welsh actor Christian Bale - who also starred in American Psycho - takes on the latest Batman role.